Don Ruffles Limited sell High Security Paper and Media Shredders including Hard Drive Disintegrators approved by CPNI, plus NSA and CESG approved Hard Drive Degaussers, and Tape Degaussers which they provide for many military installations worldwide, 'A' Grade Clearance Offers, Shredder Oil & Sacks, Entry Level / Home Use, Personal / Desk Side Shredders, Small Office Shredders, Medium Office Shredders, Large Departmental Shredders, High Security Crypto Shredders, Automatic Feed Shredders, Cardboard Packaging Shredders, Industrial Heavy Duty Shredders, Shredders with Balers, Disintegrators, Degaussers, Waste Baling Machines and Incinerators. 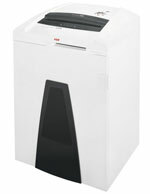 Don Ruffles Limited - www.DonRuffles.co.uk has grown to become the leading online supplier of Office Machines, Office Supplies and Office Furniture by developing a number of Specialist websites including www.ShreddingMachines.co.uk which is now recognised as the UK’s Largest Independent Supplier of Shredding Machines. 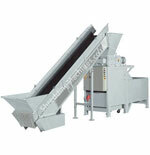 Full Specialist Machine Design Facility – Emergency Destruction, Mobile or Static Shredding etc. Our Product portfolio: Media Shredders and Shredding Machines, Office Furniture, Office Supplies, Security Safes, Degaussers, Office Machines, including advice, sale and Maintenance. We have many specialist sites allowing us to offer a huge choice of over 40,000+ office supplies products. We have the largest ranges in the UK of paper shredders, security safes, degaussers, binding machines, laminators, trimmers and guillotines. For Paper Shredders, Optical Media CD/DVD/Blu-ray, Hard Drive Magnetic Media Shredders, Film Shredders, Electronic Data Media Shredders, Reduction Shredders, Strip Cut Shredders, Cross Cut Shredders, Micro Cut, and Crypto Cut High Security Shredders. We have over 15 years experience in selling office furniture and can supply chairs, desks, screen systems, office storage, filing cabinets, office shelving, items for your mail room and many more different products to suit your needs and your budget. A new way of ordering Office Supplies - 24 hr ordering - Buy Online NOW - office stationary, cartridges and toners, paper, PC supplies, office furniture, janitorial, cleaning and catering products and fax machines, Over 27,000 Office Supplies available for next day delivery. SafeRunner.co.uk can provide the appropriate Safe to protect Keys, Money, Documents, Data Media, Hardware, and Hard Drives from damage by Fire, Water or Theft, from our range manufactured by Phoenix, Chubbsafes and Burton. With over 30 years experience in the Data Destruction industry we can offer Electromagnetic, Permanent Magnet, Portable and Hand Held Degaussers as well as Hard Drive and Tape Erasers, Conveyor Degaussers - new and factory refurbished options. officemachines.net has the UK's largest selection of office machines including paper shredders, binding machines, laminating products, rotary trimmers and guillotines from the top manufacturers including GBC, Fellowes, DSB, IDEAL, DAHLE and RENZ. 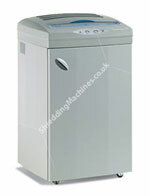 We have over 30 years experience in selling shredding machines & paper shredders and can provide a model to suit the needs of both office and home users, from Levels 1 up to Level 3, and P1 to P7. Use our unique shredder wizard or browse our site for all of the ranges from the top manufacturers including Ruffles Direct, JBF, Applied Magnetics, Fellowes, Rexel, HSM, KOBRA, DAHLE, IDEAL, Intimus, Martin Yale, Swordfish, EBA, DSB, Genie, ROTO, 5 Star, Q Connect. We are the largest independent specialist in the UK and can provide a machine for home, office or industrial/heavy duty use. 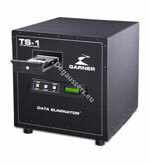 We also provide Military Grade high security shredders up to level 3. 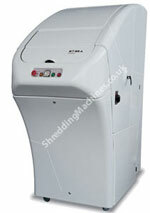 See some examples of our High Security Shredders below. We have over 30 years experience in the Data Destruction industry and offer Electromagnetic, Permanent Magnet, Portable and Hand Held Degaussers as well as Hard Drive and Tape Erasers, Conveyor Degaussers - new and factory refurbished options, a degausser recycling program, training and support, degausser certification, competitive pricing, quality craftsmanship and the best warranties available. See some examples of our degaussers below. To see our wide range of Heavy Duty and Lower Security Degaussers and Hard Drive Destroyers, click here to visit our website. WHAT MEDIA CAN WE DESTROY? T Magnetic Tapes and Data Media like Floppy Discs, ID Cards, Magnetic Tapes, and Cassettes etc. We can provide advice on a suitable level of cover irrespective of your Security Requirements – for individuals and Commercial Enterprises, UK National Infrastructure to the most secure Government Agencies. or CALL US on 0845 5555 007.